one was ev - er yet so gay.
" Ever live bright Winna" sing. With boughs their hearts of oak beset Your brave sires their conqueror met, No crown but her locks of jet Now does your free allegiance get. 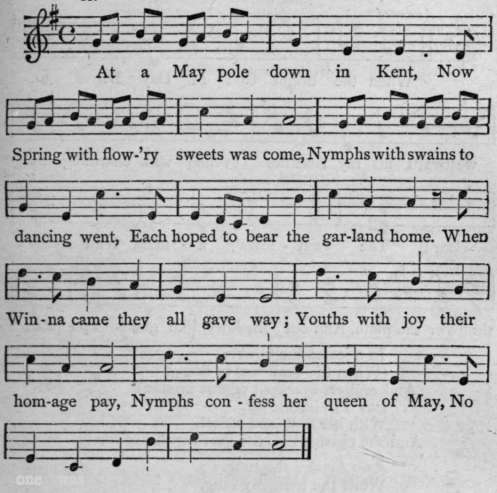 From The British Musical Miscellany. The Words by Bedingfield. Tune O'er the Hills and far away.